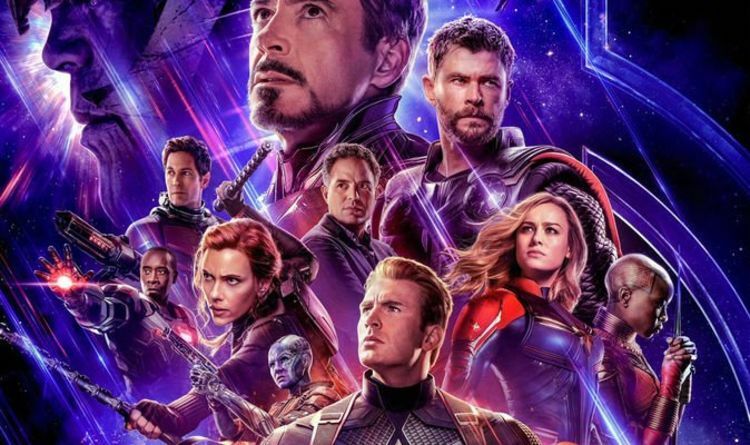 Avengers: Endgame is still six weeks from its cinematic release but fan theories about the final instalment of Phase Three of the Marvel Cinematic Universe have been circulating since Avengers: Infinity War. An already existing fan theory posits the original Avengers will sacrifice themselves in order to bring their fallen heroes back. And with the release of the new Endgame trailer, this theory has been made slightly more nuanced. Will these four Avengers SACRIFICE themselves in Endgame? Reddit user TheRealBrandini97 detailed why they think four of the Avengers will sacrifice themselves. The four heroes who say the line are Captain America (Chris Evans), Black Widow (Scarlett Johansson), Hawkeye/Ronin (Jeremy Renner) and Iron Man (Robert Downey Jr). ‘Whatever it takes’ as a rallying cry could certainly hint towards self-sacrifice. The theory has received both support and criticism from other Reddit users. As for the directing duo the Russo brothers, they have not confirmed anything about Endgame’s plot. The official plot synopsis reads: “Adrift in space with no food or water, Tony Stark sends a message to Pepper Potts as his oxygen supply starts to dwindle. “Meanwhile, the remaining Avengers – Thor, Black Widow, Captain America and Bruce Banner – must figure out a way to bring back their vanquished allies. The surviving Avengers include: Scarlett Johansson (Black Widow), Danai Gurira (Okoye), Mark Ruffalo (Hulk), Don Cheadle (War Machine), Karen Gillan (Nebula) Robert Downey Jr (Iron Man), Chris Hemsworth (Thor), Chris Evans (Captain America), and Rocket Raccoon (voiced by Bradley Cooper). Captain Marvel (Brie Larson) will also be seen in the present-day for the first time since her own mid-credits scene. The unaccounted for Gwyneth Paltrow (Pepper Potts) and Letitia Wright (Shuri) may also show their faces. MARVEL MOVIE CAMEOS: WILL STAN LEE CAMEO IN OTHER MARVEL MOVIES? New Avengers being added to the mix include Paul Rudd as Ant-Man, with Evangeline Lilly (The Wasp) and Michelle Pfeiffer (the other Wasp) and fans will therefore probably see Michael Douglas (Hank Pym). Hawkeye, played by Jeremy Renner, will also appear in Avengers: Endgame despite being left out of Infinity War. Jon Favreau (Happy Hogan) has reportedly also filmed scenes for the movie. The newest trailer is available to watch here at Express.co.uk. Avengers: Endgame is out in UK cinemas on April 25, 2019. How to sleep: Five easy ways you can improve the quality of your sleep Mike Thalassitis dead: How did he die? What was Love Island star’s cause of death?